A 6 week evening course. 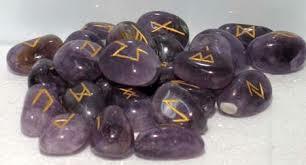 Learn to perform Rune readings for yourself, family and friends or as a professional service. A breif history of the Runes. Interpretation and the meaning of the Runes. Writing with the Runes and Creation of Bind Runes. The ethics and law regarding the practice. Advice on the necessity of insurance for professional practice. Certificates will only be issued upon full completion of the course. For dates of forthcoming courses, see the 'Courses and Events' page of this website, or call Lauren at the gallery for future dates. for further information or to book your place.